Google Glass etiquette is all here in Google's handy guide. With Glass comes great responsibility to not be a jerk. 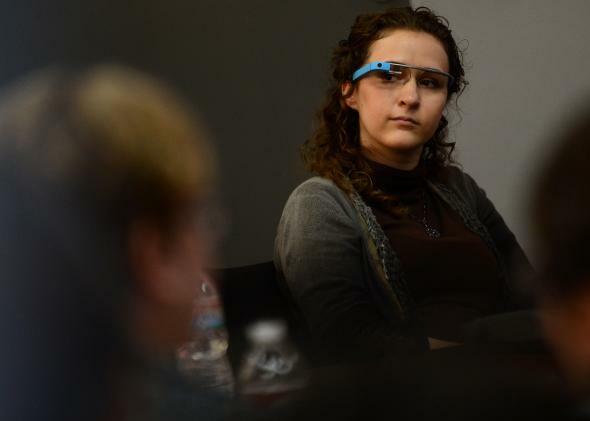 There are a lot of potentially creepy aspects of Google Glass. Someone who’s wearing it can be taking photos or videos at any time and could be stalking you on Facebook while you’re talking to them. But Google wants Glass to have a positive image, so the company has released an etiquette guide with some “collective wisdom” from some early Explorers. And apparently common sense is not common sense to Glass-wearers. Google suggests that users take off their Glass before doing “high-impact sports” like “cage fighting.” This seems like something people should be able to reason out on their own, but it’s kind of important to bring up because America’s Funniest Home Videos taught us long before the Internet that people will take recording devices into really dangerous situations for no particular reason. But Google also points out that you shouldn’t wear Glass unless you want to deal with people freaking out about the fact that you’re wearing Glass. This heads-up seems a bit odd, because half of the appeal of Glass at the moment is being an early adopter of a radically new technology. As Google readily admits in this guide, Glass is “at the start of a long journey,” meaning it’s not that great yet in terms of performance. The whole point is to work out the kinks while enjoying a little bit of celebrity status. The best part of the guide is Google’s use of phrases like “Glass-out” (which means looking like you’re zoned out because you’re staring at your Glass screen) and the very wonderful “Glasshole.” Tacit endorsement! Google says, “Don’t be creepy or rude (aka, a ‘Glasshole’)” which is just generally solid life advice. But don’t forget that it’s really about making Glass look good so Google can eventually sell a ton of them. “Breaking the rules or being rude will not get businesses excited about Glass and will ruin it for other Explorers.” You don’t want to be the one to ruin Glass for the rest of us, do you? I didn’t think so.